Scales in the coffee industry have become more of a staple with the rise of pour over brew in cafés and the growing interest in craft brewing at home. It is no secret that a scale is a useful tool that can improve your daily cup, but scales are sensitive precision instruments that do require a little attention to maintain. There are a lot of aspects to the weighing process that can easily be overlooked. What types of scales are there? Which scale is best for your application? How do you care for your scale? Most importantly, is your scale consistently accurate? 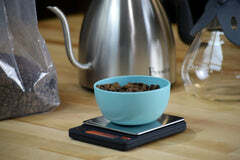 We want to dig into these questions a little and review what makes scales work, the importance of weighing coffee and water when brewing, how to pick the right scale for you, and how to make sure your scale is giving you accurate and consistent readings. A little knowledge can go a long way and save you time, money, and precious coffee beans. Scales have been a cornerstone of business and trade ever since their creation. Weighing scales have come a long way since the antiquated balancing scales used for centuries in trading. It wasn't until the late 1700's that the spring scale was invented, of which you still see simple versions when weighing your produce at the grocery. Spring scales measure the pressure (or mass) an object exerts on the spring. They are quite simple to make and have relative accuracy for casual uses but have evolved greatly into many types of precision measuring. The most commonly used in general practice are load cells. A strain gauge load cell (stay with me) is what most at-home and light commercial scales use. They consist of an aluminum bar with sensors attached that measure the slightest bend in the bar from weight or mass pushing from above. In less expensive scales, the shape of the load cell is an "I", in higher quality scales, such as our scales at Brewista, the load cell is an "H" shape, so readings remain accurate despite corner loading. The sensors on each end of the "H" detect tensions and compression within the small aluminum bar and give a reading to the scale display based on how far they have moved in relation to each other. Weight changes happen instantaneously and we are able to weigh things quickly and easily with this technology. Adding a scale to your coffee ritual might already make sense to you. If so, congratulations on your consistently delicious daily cup of coffee. For those of you who have some hesitations, let me explain why using a scale is a good idea and can quickly become an easy part of your practice. First, one woman's tablespoon might be another woman's heaping tablespoon, and "scoop" is not an amount as far as we are concerned. Even if you level your "scoop" or TBS and use, say three, in your daily brewing, that can vary widely in weight, and result in a different cup every time you make coffee. Light and dark roast beans aren't all the same density, so weighing the grounds will let you have the same actual amount every time. The inconsistency multiplies when you are not weighing your water. Coffee is two ingredients, both needing to not only to be fresh (and beans ground to the right coarseness), but also to exist together in a ratio that works and can be duplicated. A 17:1 ratio of grams of water to coffee is a widely used recipe, but you might like yours better at 15:1 or a little mellower at 19:1. If you pick a ratio and use it while brewing, you can zero in on your perfect cup, and easily repeat it as a part of your daily routine instead of stumbling upon that occasional amazing cup of coffee that you eyeballed half awake and can't repeat. For pour overs, steeping filters, Aeropresses, and press pots, you can set your brewing instrument (and cup if applicable) on your scale. Zero or tare the scale. Add your ground coffee; let's say you're brewing a press pot and want a 17:1 ratio, 24 grams of coffee goes in the pot. Zero the scale again. Boil water (without measuring) and pour your water into the pot, the scale will read the amount of water you are adding as you pour. Once you reach 408 grams (24x17=408! Luckily you have a calculator in your smart phone, math is hard I know). You can set a timer (try 4 minutes) and press your pot of coffee when the time is up. That's it. No magic, no complications, that coffee is going to be very easy to repeat and more importantly, adjustable if you happen to want it slightly stronger or weaker. Weighing your ingredients gives you a solid base to go off of and allows for reliable replication of your recipe. If you're eyeballing your coffee and water every morning and you are a 16:1 kind of coffee drinker, you only hit that sweet spot twice a week. If you aren't measuring, you're most likely wasting some of those expensive locally artisan-roasted beans with inconsistent batches. The components within your scale are small, precise instruments and many things can affect the reading. The quality of the scale is a big factor in how it will perform, how accurate it will be, and for how long. Brewista scales use ambient temperature compensation, designed specifically to function well in coffee shop environments. We also treat our load cells with a waterproof seal and nano coating for durability. Not all scales are produced with this kind of attention and cheaply made scales can degrade quickly, giving you erratic readings. If your café is in the middle of a morning rush and the barometric pressure is rising as the day warms up, you'll need to constantly dial in your grinders to keep those delicious espresso shots pulling perfectly. Inaccurate readings from your scale are not what you need. Scale load cells are a form of transducer, which means they are "transforming" the mass into an electric signal that tells you how much something weighs. Those electric signals need good reception, or a good power connection, so even the wires within the scale are important. Weighing with a badly made scale is like trying to call someone from the basement of a concrete building. It doesn't work too well. Understanding the basics of scales and how they work will help you know how to take care of your scale. When you invest in a well designed and produced scale, a lot is already taken care of, but you might still need a few pointers. Scales need to be used on flat surfaces (and not on a soft surface) to allow for the load cell to work correctly with their sensors. Make sure you are not trying to weigh above the maximum capacity on your scale or you could overload the load cell or spring. Electromagnetic disturbances can affect scales. If your phone is right next to your scale, make sure you give it a little bit of table space. It is possible to store a scale sideways, but this requires them to be zeroed out before every use. The number one issue people have with their scales is power trouble. Make sure you have fresh batteries or a stable secure connection to the wall outlet if you have an adaptor/plug-in type. Scales also need to be used at room temperature. Since the load cell or springs are made of aluminum, scales can be sluggish if really cold and not give you accurate readings. Whether you are a barista, a shop owner, an at-home coffee nerd, or shopping for one, make sure you get the right scale for your practice. If timing is important, make sure there are options that allow you to add water and time the steeping brew. Some automatically shut off after 5 minutes and this might be an issue if you make press pot coffee. Some scales have an accuracy of only 1 gram, so adding slightly more or less than that will not alter the reading. Getting a scale that is accurate to .5 grams will usually do the job. 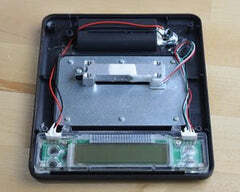 Do you want the portability of a battery operated scale or the stability of a plug in scale? How heavy and large are the items you will be weighing? Is the loading platform on the scale big enough to handle your daily tasks? If you are going to be weighing on an espresso machine or in a busy café, a water resistant scale might be best for you. Once you've picked one out, read the manual, learn what it can do for you, and play around with it to get familiar. After a week of use you will never want to go back to estimating the fine craft we call coffee. Getting a well-made scale, perhaps made by Brewista, will ensure you years of reliable use.